“Massive Modular” was born of “Pocket Modular” skin. I made full use of the theming techniques to build up this GUI. The system is composed of many invisible knobs and racks. You can download the trial version. I gave him the new name mainly because I wanted to make it clear that THIS IS THE NEW SKIN, not a variation of Pokemod ones. Of-course I started working from “Pokemod Platinum”, but finally all the modules are again rebuilt. And the “pocket” just didn’t fit to this product, because it’s something “MASSIVE”. As I announced before, the price has been raised ($24.99). I think it still reasonable because Zebra itself is a full-featured expensive synth, which could cost high if you try to dress it up well. If you calculate this ratio and display it with a zebra, it’s like this. Haha anyway, I think it worth. This is an epic skin that can truly change the workflow of Zebra². 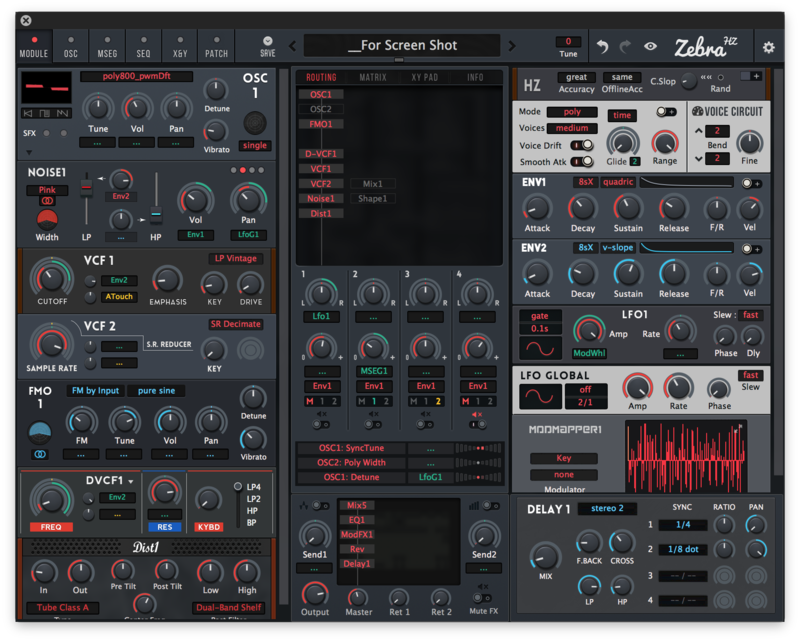 You’ll be able to feel like you’re using another synth, or, Zebra3! I hope you enjoy Zebra synth a lot. 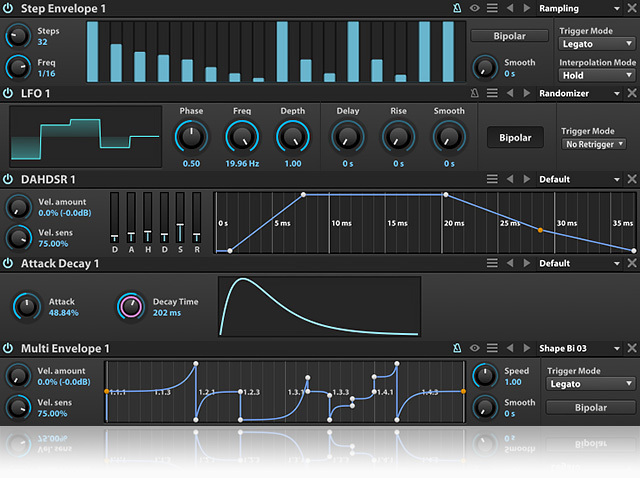 Zebra is really an amazing synth, with great capability and crystal-clear sound… I love it. And I have to say that I was deeply inspired by UVI Falcon synthesizer. I didn’t buy Falcon, but it looked so cool and was always on my mind, which drove me to create this new skin. “As Cool As Falcon” was my slogan actually. What a beautiful design, Falcon! Thanks. Been trying to learn Zebra on and off for the last five years. When DIVA came out I gave up as DIVA had a GUI I clicked with. Since adding Plugmon Massive to Zebra HZ I’ve spent a full week straight learning nearly everything in Zebra It’s just like using DIVA but with more modules to add in. The thought process feels so straight forward and fun. Looking forward to the wider version that looks like a proper hardware modular synth. Thanks for the work and passion.